There are plenty of job openings. Yet so many people remain unemployed. With unemployment rates reaching new lows, headlines often hide the struggles of families who still feel like they’re down and out because they cannot secure a good job. In so many of these circumstances, something is standing in their way. 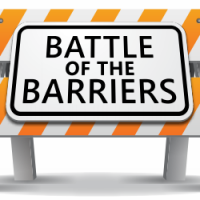 The Express Employment Professionals white paper, titled “Battle of the Barriers,” explores common barriers, including transportation, child care, and communications issues by drawing on the real-world experiences of Express office owners and original surveys. The paper discusses why these barriers persist, even in a time of high employment, and who is most likely to be affected. Though some barriers are almost insurmountable, there are solutions. The paper also explores areas where local, state/provincial, and federal governments can take action, how companies and communities are taking it upon themselves to make a difference, and the importance of personal responsibility. 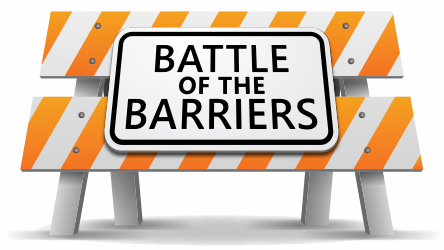 What are some common barriers that have prevented otherwise qualified candidates from accepting a position at your company? Let us know in the comments section below. Some people just don’t interview well. Me included. I think many people are passed over for jobs that may be perfect for just because they can’t sell themselves to the interviewer. Likewise, hiring managers should come out from behind the desk and act like real people, not judge, jury and executioner.